Looks great. Can’t wait to try it out! Can I use TL072s instead of the TL972 you used? I’m surprised you couldn’t use the PWM output directly from the PIC. Was the processor generating conducted EMI? A ferrite bead might help there? such a great point! yes that’s how I started and it did work but there were periodic noise artifacts(at the peaks of the sine wave) that resulted from DDS algorithm. Perhaps I could have cleaned it up with mods to my look-up table, but I knew filtering it would work and it did. The PWM chip works well – it allows me control the depth of the sweep very easily – which I like. Cool, thanks. Really enjoy your site. Couldn’t get past the “Sign up for filedropper” to dl your code. Could you email it to me? 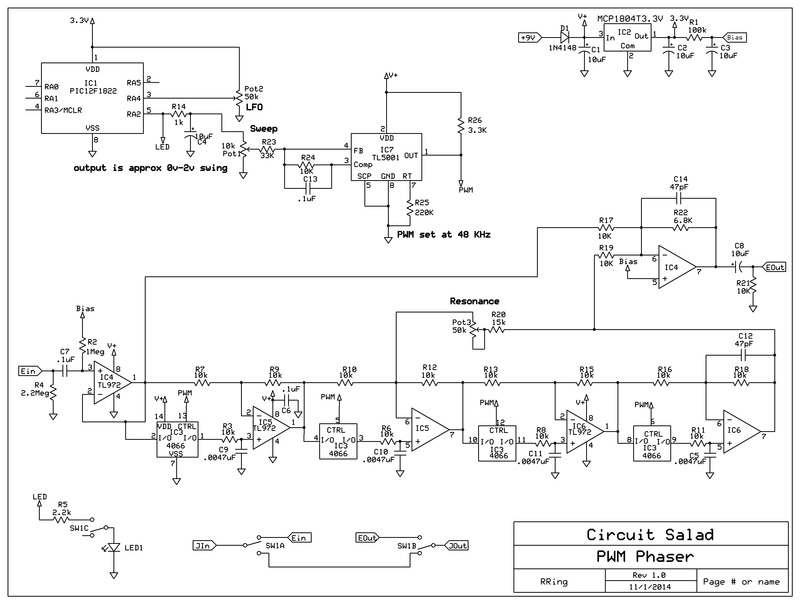 I am interested in checking out both your design concepts (use of pwm for switches, sine lookup to PWM output). the code was built in mikroC -which has a freeware version. This code will compile in the freeware version if you want to mod it.